Children learn through play, and nature is the best playground! 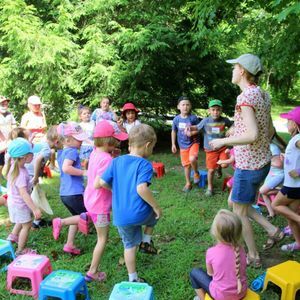 Campers will float leaf and twig boats down the Blockston Branch, create leafy magic carpets on the forest floor, and mix up gooey wetland "parfaits" while listening to a chorus of frogs and red-winged blackbirds. Songs, crafts, stories, games, and a healthy snack will round out each morning.